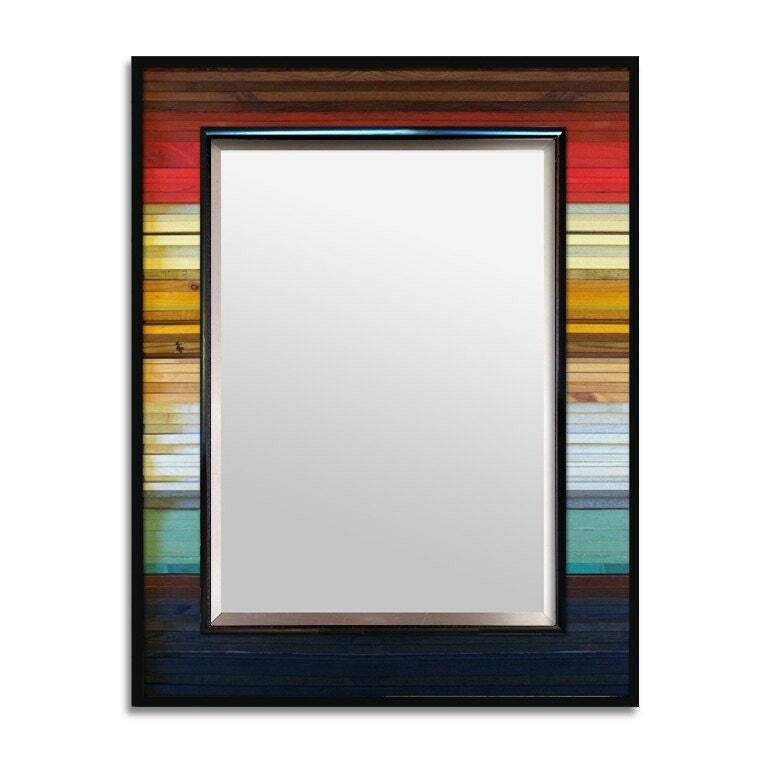 Mirror is approximately 34" x 40" x 1.5". Reclaimed wood borders about 5" around a 24"x30" mirror. If you'd like a different size than shown please contact me and we can work together to make a piece perfect for your home! 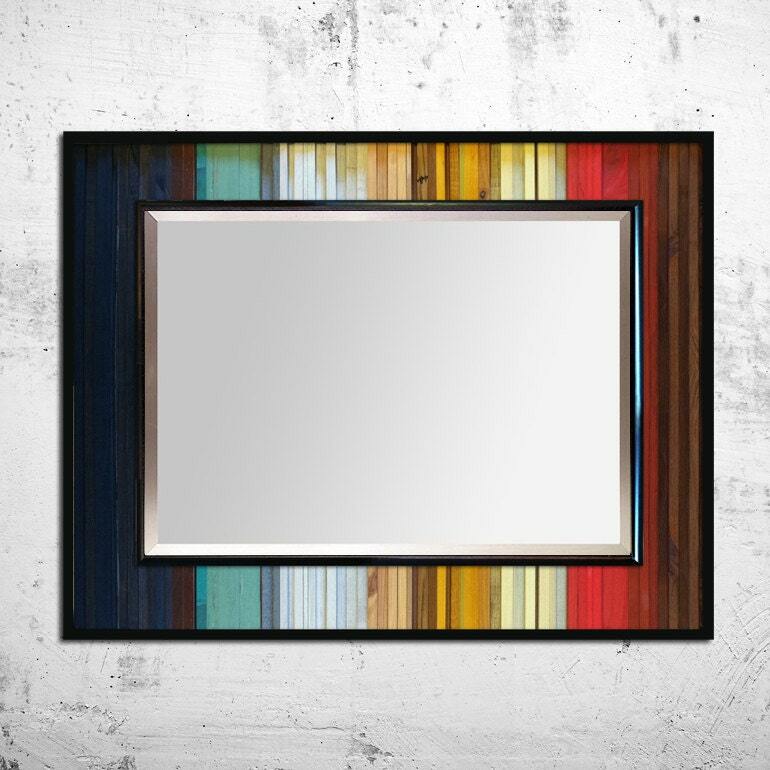 Wall art is made with a mix of pine and reclaimed wood and finished with a UV protective varnish to preserve the natural beauty of the wood. The interior of the frame is 100% reclaimed wood, mostly old house siding. The inner and outer border is pine and stained dark espresso. Each piece has hooks on the back for hanging. Please let me know if you’d like this to hang vertically so I can adjust the hardware otherwise, it will be oriented to hang horizontally. Check out my website scrapwooddesigns.com for more information.